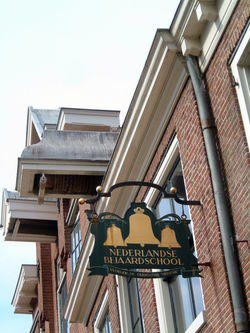 On the occasion of the 100th anniversary of the Nederlandse Klokkenspel-Vereniging (Dutch Carillon Association) a workshop ‘Composing for carillon’ was organized in the Dutch Carillon School in Amersfoort on the afternoon of Friday, April 6. The aim of this workshop was to introduce composers and students to the possibilities that the carillon offers and to generate new repertoire. On Tuesday, the 19th of June, final examinations (Master degree) and qualifying examinations will be held at the Tower of Our Lady in Amersfoort. Details will follow soon on our website and in the Dutch Carillon Newsletter. On April, 12th 2018 the jury has decided to open an extra opportunity to apply because not all five finalists could be chosen at the first selection. The new deadline for applications is: April, 30th 2018. The results will be announced ultimately May, 15th 2018. See for further information the convocation attached. In the Peace Palace in The Hague the website ‘War Memorial and Peace Carillons’ (WMPC) was launched on Thursday, November 30, 2017. The mayor of The Hague, the president of the International Court of Justice, and representatives of embassies were among the approximately 70 attendees. The website currently presents information about more than 30 carillons, including the 'Peace Tower' of the National Parliament in Ottawa, the 'National War Memorial' in Wellington (New-Zealand), the city hall of Cape Town, and the universities of Toronto, Sydney and Leuven. When a conference took me to Phoenix, Arizona, I wanted to make the most of my time there. And what better way to do that, than by visiting a carillon? The Arizona State University, located in Phoenix, has a carillon on campus, albeit a very unusual one. After a most cordial welcome from Judith Smits, co-chair of the Carillon Society of the ASU, I was allowed to sit down and have a go at their Symphonic Carillon. 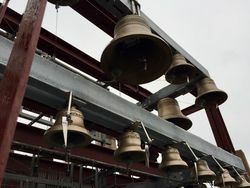 On Thursday April 5, 2018, the new carillon of the University of Washington in Seattle was inaugurated. A playing cabin and steel structure supporting the bells were built on top of an about 20 meters high brick ventilation shaft of Kane Hall, one of the buildings of the university located at Red Square. 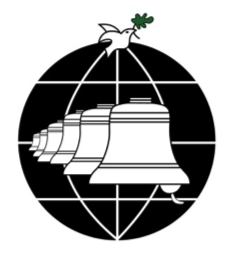 It is intended that the bells are visible to anyone. 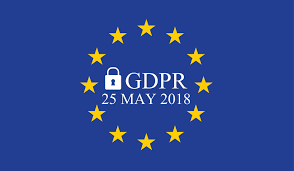 From May 25, 2018, every association and foundation in the European Union must comply with the privacy rules that originate from the General Data Protection Regulation (GDPR). This new law expects that associations and foundations investigate for themselves if sufficient measures have been taken to protect personal data that is maintained. We will keep you informed about this process via our website and newsletter. We can already let you know that the security of our website is up to standard and will prevent the loss or misuse of data.